Top-Rated Sellerretiredtreasures719 consistently earns high ratings from buyers thanks to fast shipping and excellent service. 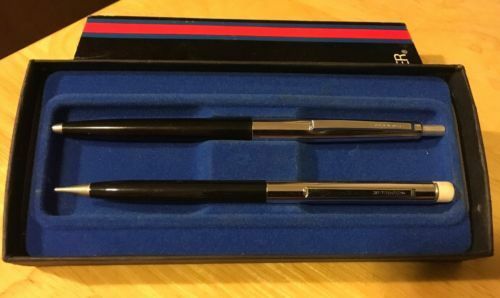 Older Scheaffer pen and pencil set. Black with silver in original box. Pen does have a cartridge, but it didn’t write for me. Pencil does have lead and the eraser works. Feel free to email with questions. I do combine shipping on multiple purchases. Have a great day!